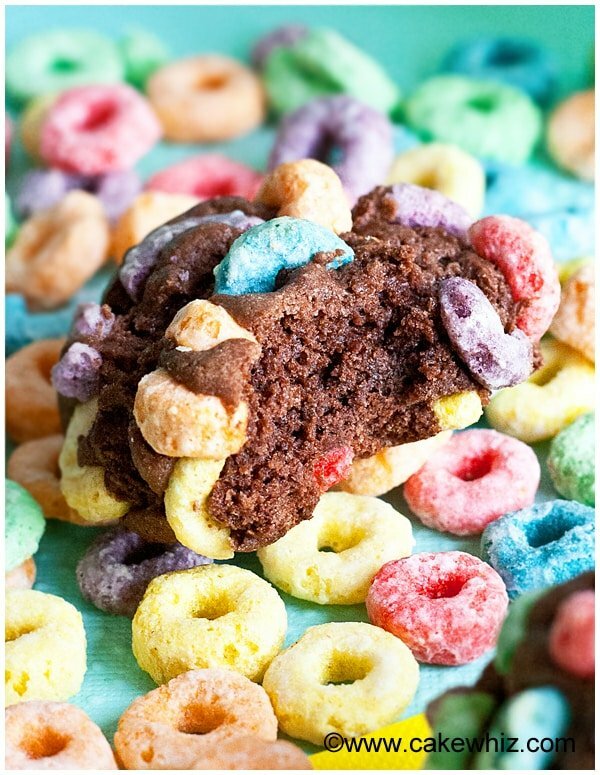 These fruit loops chocolate cookies have a rich chocolate flavor with a fruity and crunchy top. 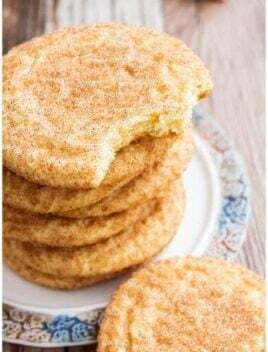 Easy recipe & great for rainbow parties or St.Patrick’s day. 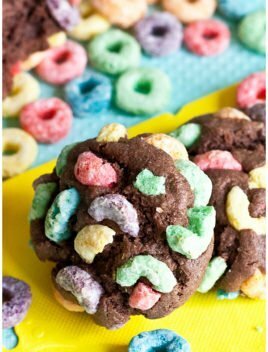 I was doing some midnight baking yesterday and thought it would be FUN to make Fruit Loops chocolate cookies. I was a little worried that the Fruit Loops might become soggy and icky but that didn’t happen at all… YAY! Plus, they are so fun and COLORFUL, just like a rainbow. 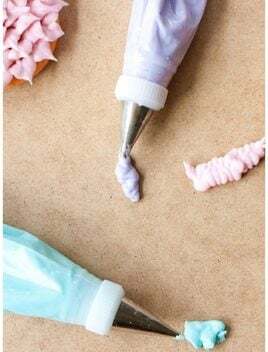 I think these would be PERFECT for St.Patrick’s day or even a rainbow themed birthday party! I got a box of Fruit loops last month, thinking that my little one would love them too. He DIDN’T really care for them…Sighs. But he ENJOYS using them in crafts and they have been very HELPFUL in teaching him colors and sorting! I used my AWESOME homemade chocolate cookie recipe that’s made from scratch. 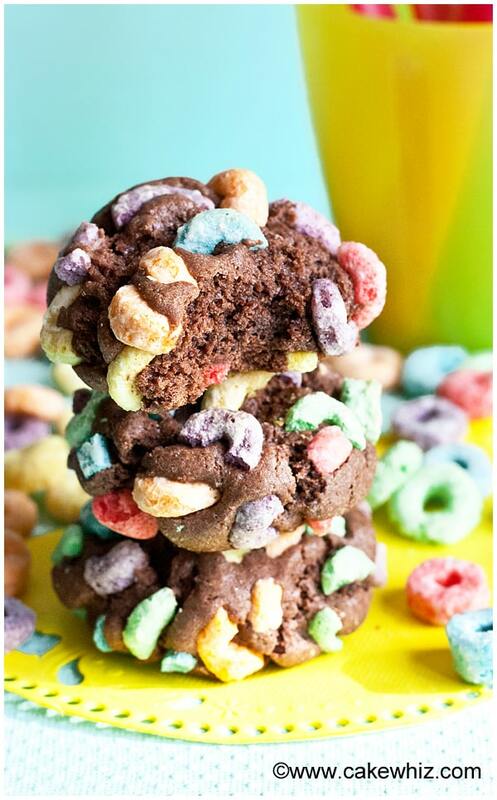 But, if you are short on time or if you like using boxed cake mixes, then you can use my chocolate cake mix cookies recipe and just roll the cookie dough balls in crushed Fruit Loops… EASY PEEZY and just as delicious! 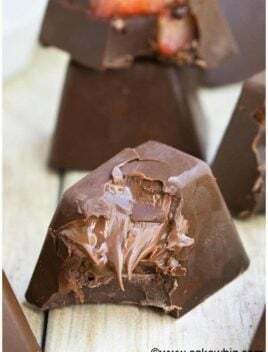 1 cup Chocolate chips You can add more, if you like! Bake at 350 degrees for 8-10 minutes. Enjoy! 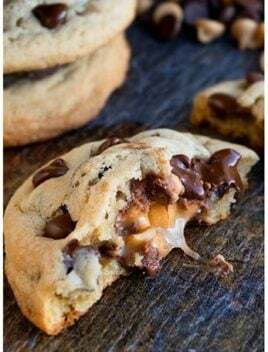 - If the dough is very crumbly and you are having a hard time making balls, then add a little milk (1 tbsp at a time) and knead the dough again. These are just too much fun! 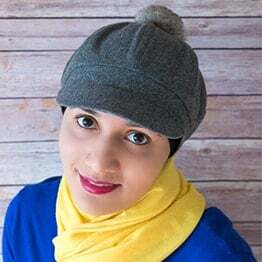 Perfect for spring time! 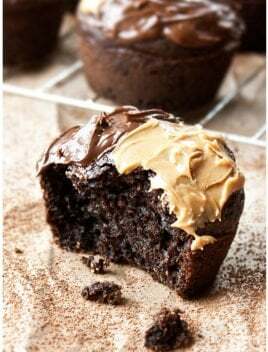 Absolutely love this delicious recipe, so much fun! My boys love love love fruity cereal. Like they think I’m the coolest mom on Earth when I let them eat it! 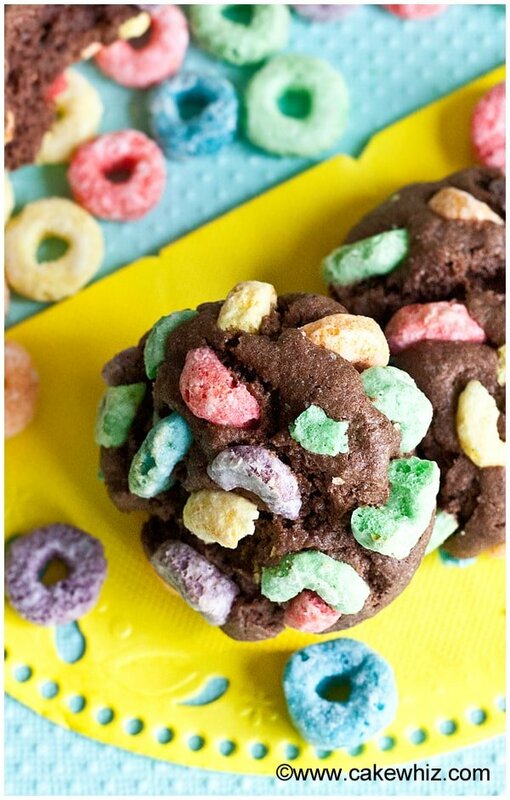 They would absolutely flip for these cookies! Hahaha! 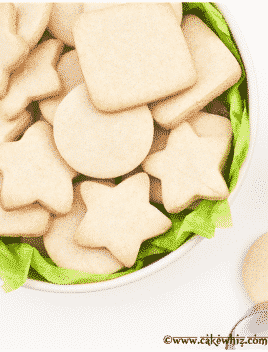 These cookies are always a hit with the kiddos!